Cilbrás is a distribution branch of the Brazilian high-pressure gas cylinder and welding supplies company Praxair. Praxair Argentina supplies atmospheric (argon, nitrogen, oxygen) and process gases (carbon dioxide, helium, hydrogen), as well as speciality and medical gases. Other products they supply include welding and medical equipment. www.praxair.com The cards in this special, non-standard deck illustrate different products by incorporating these into the design. 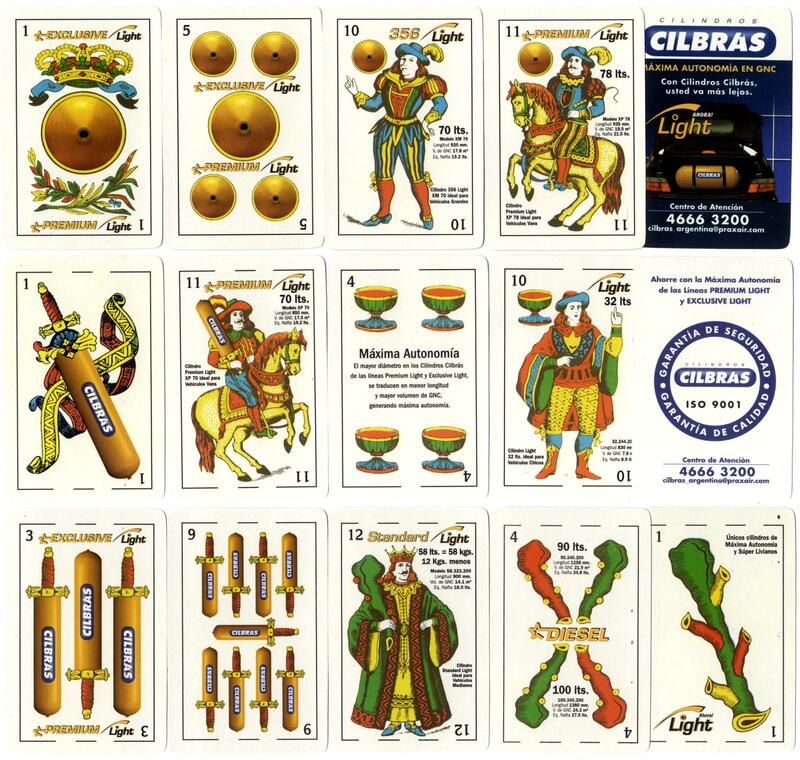 Above: cards from non-standard pack manufactured by Gráfica 2001 for Cilbrás high-pressure cylinders, Buenos Aires, Argentina. 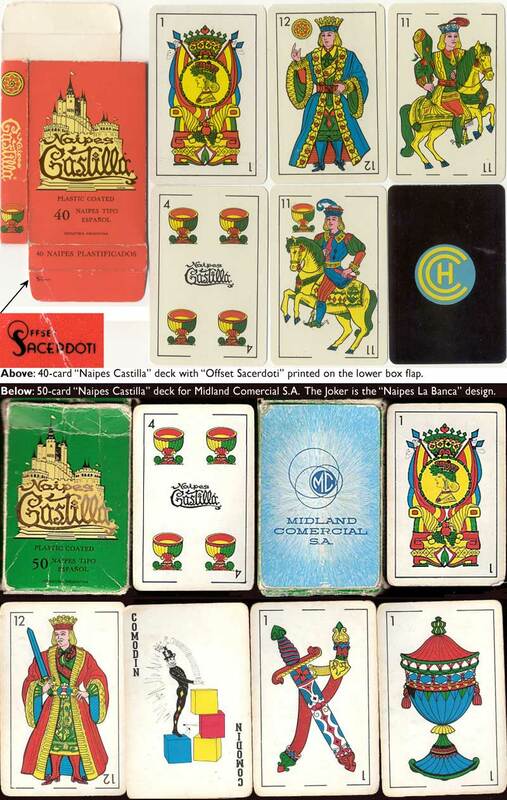 48 cards + 2 Jokers in special box. 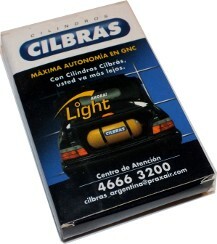 Cilbrás is a distribution branch of the Brazilian high-pressure gas cylinder and welding supplies company Praxair.